Five Star Yakima Appliance Repair is proud to serve the residents of Yakima County, WA and the local community. Offering them our repair services has always been and will continue being a priority for us. We focus on caring for the needs of our customers as well as getting their attention. Thus we appreciate them for trusting our business. Five Star Yakima Appliance Repair assures you that your appliances are in good hands. This is because we are experienced and we have the expertise in appliance repairs. You need to worry not about the kind of brand appliance that you own. They will be repaired in the shortest time possible and your appliances will be running like before. Almost all of our repair services are completed the same day a customer calls us. We try our best to make sure that your appliances such as ovens, washing machines, refrigerators, dishwashers and other appliances are in good condition after our first visit to your home. Some of the brands and models that we repair include the Frigidaire, Bosch, Sears, Kitchen Aid, Wolf, GE, Kenmore, Maytag, LG, Whirlpool, Sub-Zero and other common brands. In Yakima Appliance Repair Company, we fix common refrigerator issues such as touch panels, loud noises, cooling issues, leaks, condensation, ice makers, water dispensers and other common refrigerator issues. Thus, the moment you notice any of these issues, do not hesitate to give us a call. Mostly, stoves and ovens fail to work because of broken switches, igniters, burners, doors, relays and bulbs among other parts. They are problems we can fix quickly since we are experienced in their repairs. We also, repair both old and new brands and models of stoves and range hoods. Once you get used to sorting your laundry using a washing machine and dryer, it becomes difficult to handle them by hand when these machines break down. Thus, you need to hire repair services that can handle your machine in the shortest time possible. 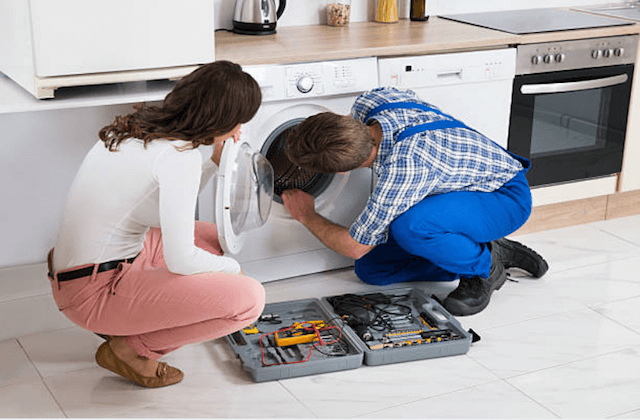 Luckily, the Yakima Appliance Repair Company we fix issues such as vibration, door issues, vent issues, noise, front-and top-loading machines and agitation and switch issues. 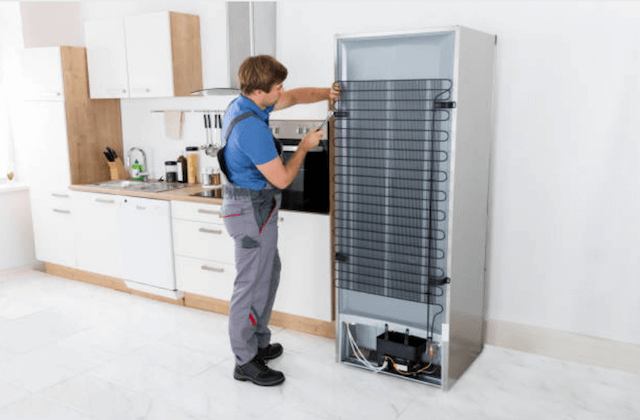 For dishwashers, the most common issues that we take care of are the impellers, solenoids, pump assemblies, cloudy glassware, float switches and odors just to mention a few. In addition, a dishwasher is one of the most complex machines and tends to have lots of issues that disrupt wash cycles. These are problems we can handle for you with a lot of ease. “Five stars for Five Star Yakima Appliance Repair! I called them in the morning and before I knew it the repairman was at my home and fixing our dryer. He was nice, professional and knowledgable and even replaced the bulb in our washing machine for free. Wonderful service!” – Arlene S.
“Great service. Great employees. Great results. Everything was great! I definitely recommend Five Star Yakima Appliance Repair for anyone with a broken appliance in their home.” – Glenn J. “There was a loud, grinding noise coming from our dishwasher. I knew something was wrong and decided to call the best-rated appliance repair company online. Turns out that was Five Star Yakima Appliance Repair. I can see why! I’m very happy with the service I received and the repairman identified and solved the issue with the dishwasher right away.” – Pamela R.
Q. WHAT IS BETTER? 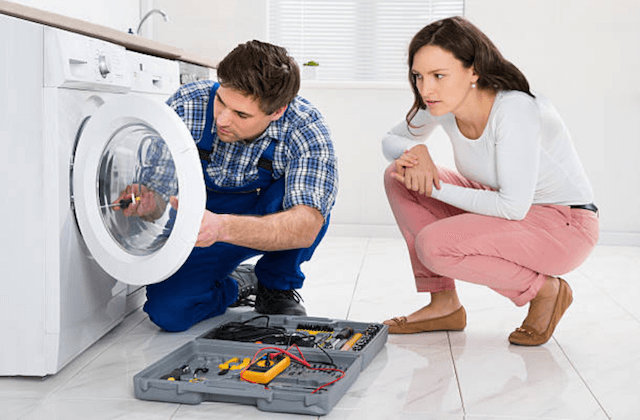 REPAIRING AN APPLIANCE OR REPLACING IT WITH A NEW ONE? A. This is an answer that lies in your hands as an appliance owner. Nonetheless, when an appliance breaks down, it narrows you to two options. You either replace that appliance with a new one or hire repair services. However, we would advise you to go for the repair option. It is cheap considering that you will only have to pay for repair services compared to buying a new appliance. Q. IF I HIRE YOUR SERVICES, WILL YOU OFFER ME A GUARANTEE OR WARRANTY? A. Yes. It is a must for us to offer you a warranty on labor and the parts used for repair. Usually, we offer a 12-month warranty that allows you to access our services on your appliance for free in case the problem on your appliance persists even after repair. Some of the manufacturer brand parts that we use include Kenmore, Whirlpool, LG, Sub-Zero and GE. Q. 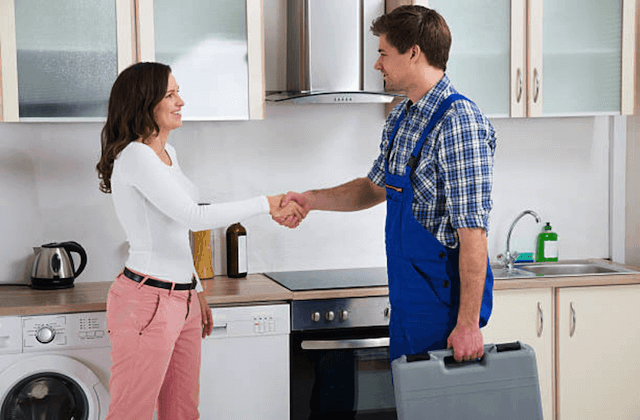 IS IT TRUE THAT YOU FIX APPLIANCES DURING YOUR FIRST VISIT? A. Yes. We repair appliances during our first visit to our customer’s home. Usually, we try our best to complete repairs the same day you ask for our services. However, there are those times when we might be unable to finish a single repair but we will return on a later day to complete the repair. Q. IS THERE A SPECIFIED TIMEFRAME FOR ARRIVAL? A. Yes. All our appointments are scheduled. However, this depends on the time that you call to as for our services. We also provide a minimum of two hours for our customers to get to your place. They will also call you 15 minutes before getting to your home for notification. Q. IS THERE A LIST FOR THE BRAND APPLIANCES THAT YOU FIX? A. Yes. We repair almost all the appliances in your house and for this reason; we have a list of all the brands that we take care of. If you fail to find the name of your brand appliance, call us and let us answer your questions regarding that appliance. We can also order parts if needed. Copyright © 2018 Yakima Appliance Repair.